I’ve always been an unapologetic carnivore, a steak-for-breakfast kind of guy, but I’ve yet to have been convinced by wagyu. The eye-watering price, the wanton sickliness, the occasional funkiness: it seems unnecessary. That was until I had Tokimeitē wagyu. 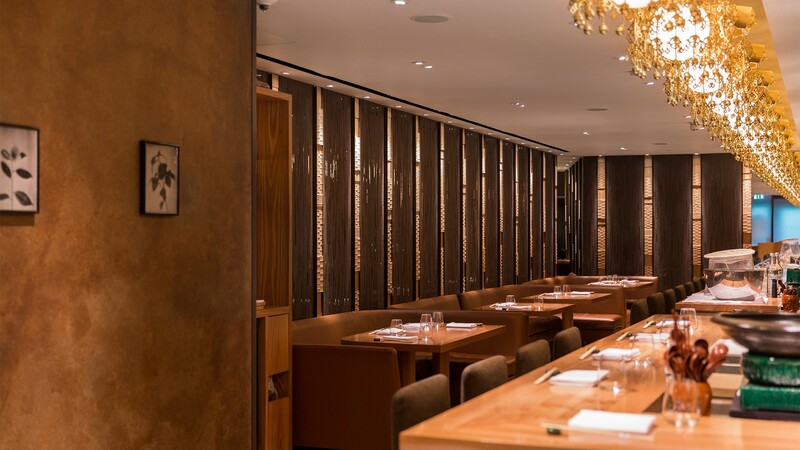 The Japanese restaurant on Conduit Street is owned by Zen-Noh, a Japanese agricultural co-op, which trades more than $40bn a year. 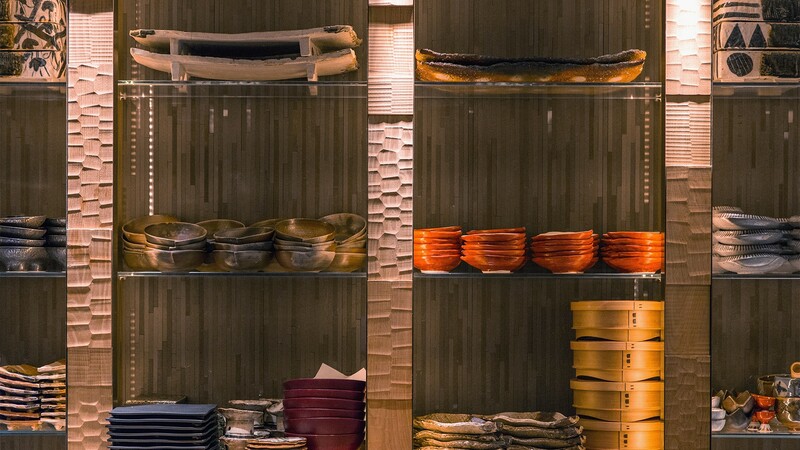 Zen-Noh exports not only wagyu, but some of the rarest food you’ll find anywhere. 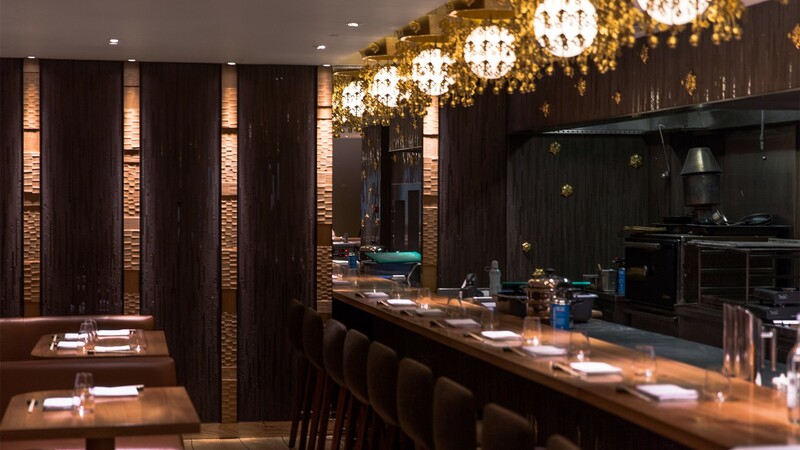 There are certain Japanese melons and peaches that Londoners can only find at Tokimeitē; loyal patrons ask to be notified of their arrival, and will pay in excess of £100 for their fruity hit. 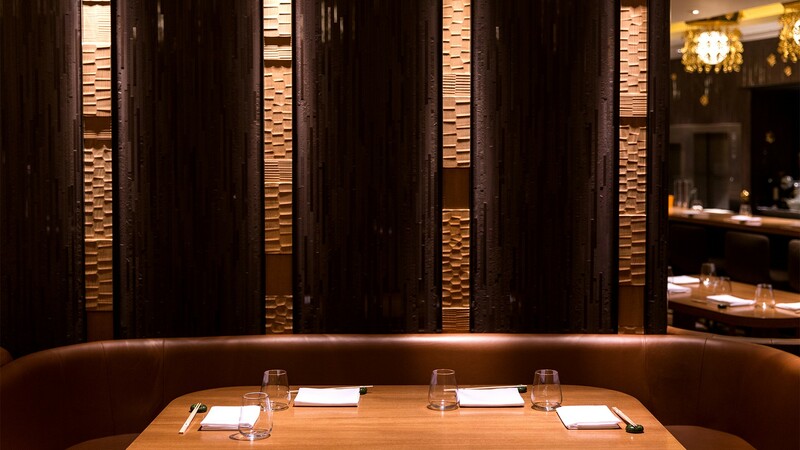 Tokimeitē specialises in kaiseki, authentic Japanese dining at its most refined. 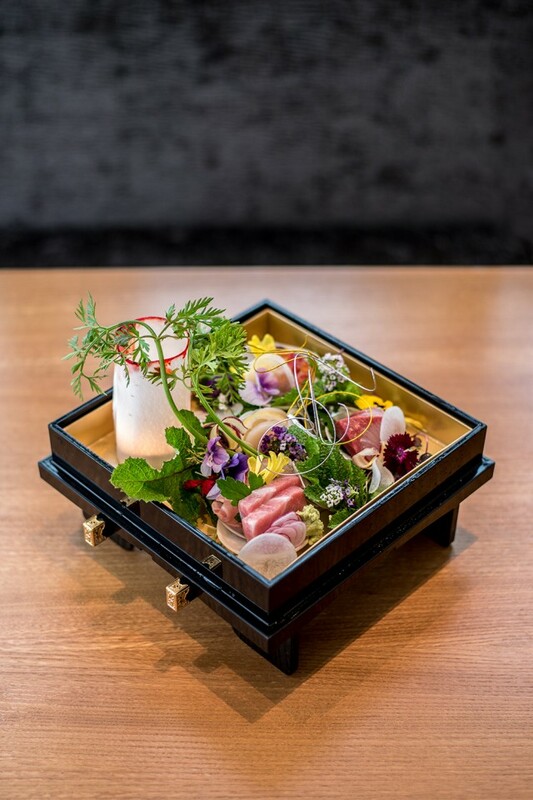 From the produce to the presentation, the aim is perfection on a plate – and chef Daisuke Hayashi is a master of it. 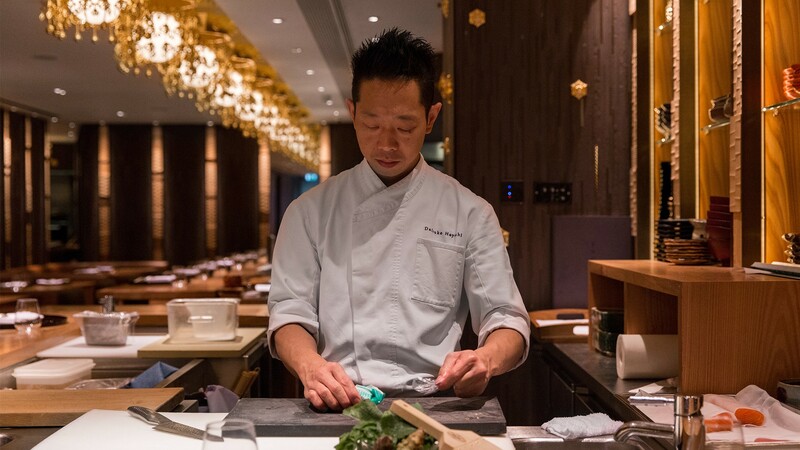 Hayashi has form: he trained under the renowned Yoshihiro Narisawa, a man with no less than seven Michelin stars to his name. All this explains why I succumbed to not one but two wagyu dishes; I thought it was only fair to give them two cracks of the whip. Throwing me in at the deep end, the first course was wagyu tartare. This was not just the prettiest tartare I’ve seen, but one of the prettiest dishes fullstop. That’s no mean feat, given that its core is chopped beef. But atop this were the most finely sliced baby chives, tiny rings of pickled onion and neon pink peppercorns, with a lightly poached quail egg placed in the centre. The crowning glory is a garland of edible wild flowers in yellow and lilac. Soft, delicate and delicious, it was a triumph. And then there was the premium A5 pan-fried wagyu rib-eye. The friend who recommended the restaurant to me said this dish actually made her cry it was that good. While I can’t concede to welling up, there was definitely a wobbly-lip moment. 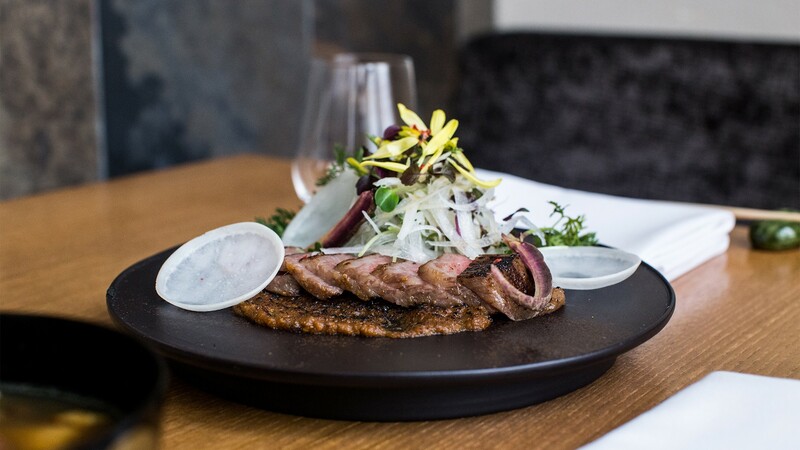 The succulent steak is rich without being sickly, tender without being spongy, and accompanied by a sesame foam that adds a moreish umami effect. 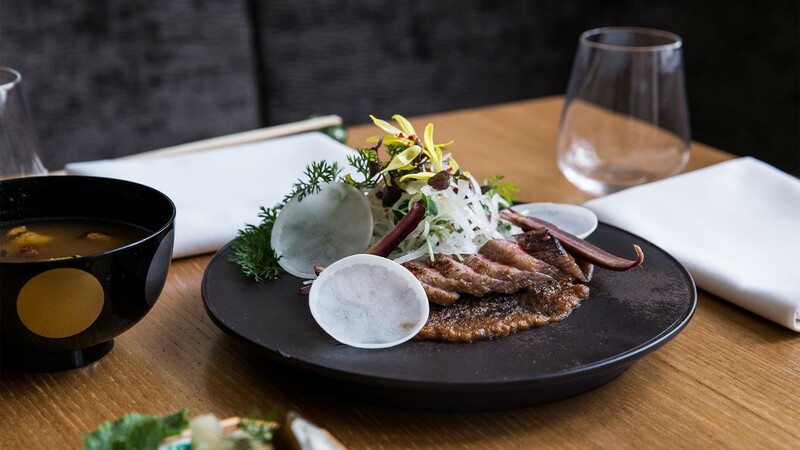 Paired with a savoury saké from near Hiroshima, and accompanied by miso-topped aubergine, it’s a heady combination. We also tucked into a tower of tempura – both lobster and mixed vegetables – as well as finishing off with a green tea panna cotta, a subtle end to a well-judged lunch menu. And lunch is what I would recommend here: it’s the perfect spot to talk work in a restaurant that means business. 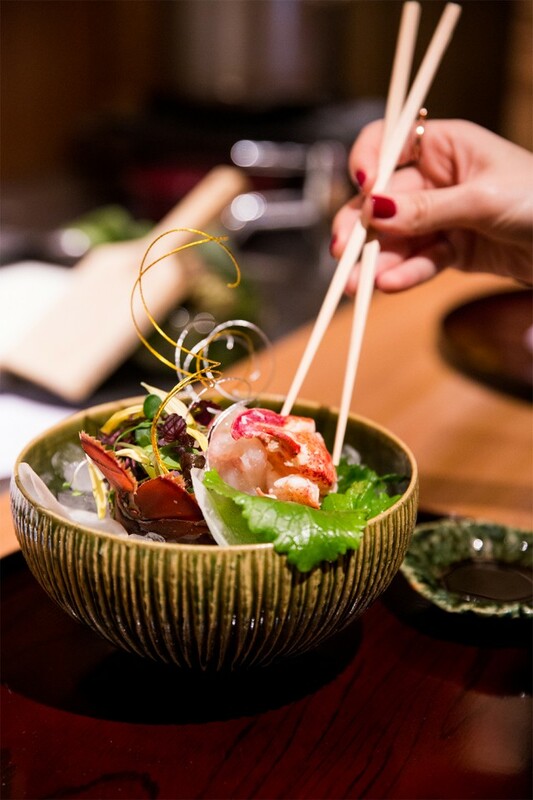 The word tokimeitē stems from the Japanese term describing a sense of anticipation. Reliving the meal now, I can’t wait to return.